Best ever Smooth and Silky New PANTENE PRO-V Oil REPLACEMENT! Have a pleasant and enriching day! Have anyone heard of this? Priyanka Chopra is coming up with an international solution Pantene that gives 2X stronger hair without the hassle of oil! She says – Strong is Beautiful! I have grabbed a huge bottle. Let’s see what that is. Say Good Bye to Frizzy hair with the Pantene Pro-V Oil Replacement! Nourish hair and protect it against damage, when styling With Pantene. Get Healthy Looking Hair Now. 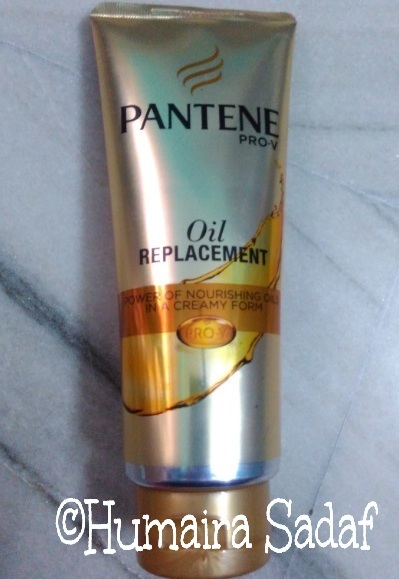 Pantene brings to India an international solution to end the hassles of oiling – the New Pantene Oil Replacement. Long oiling hours will be old-fashioned! It is a rich and creamy product to be used on both damp and dry hair. The New Pantene Oil Replacement has Pro-V and goodness of oils. Giving 2X stronger hair and hassle-free. I will be reviewing Pantene Pro-V Oil Replacement Smooth and Strong. Let’s have a quick look on this! Pantene oil replacement’s revolutionary formula gives 2x stronger hair than ordinary hair oil, hassle-free. Pantene has discovered the incredible oil replacement to give hair the multiple benefits of natural oil. It nourishes hair, reduces hair fall due to breakage and helps repair the damage. It has a final touch leaving hair soft and smooth. Get all the benefits of ordinary hair serums and hair oil-in-creams including 2x stronger hair. As Pantene oil replacement’s formula combines the power of oils with pro-vitamin science to treat hair, while its creamy texture leaves it smooth without the stickiness of ordinary hair oil. Excellent 2x stronger hair than ordinary hair oil, without the hassles. Creamy, non-sticky formula that takes seconds to apply. Best to be used before combing, blow-drying, sun and salt water exposure. Apply evenly along the lengths of hair. Gives 2x stronger hair than ordinary oil. Nourishing oil with Pro-Vitamin Formula. Water, stearamidopropyl Dimethylamine, Dimethicone, Glutamic Acid, Phenoxyethanol, Fragrance, Methylparaben, Propylparaben, EDTA, Citric Acid, Panthenol, Panthenyl Ethyl Ether, Hexyl Cinnamal, Sodium Chloride, Hydroxycitronellal, Limonene. 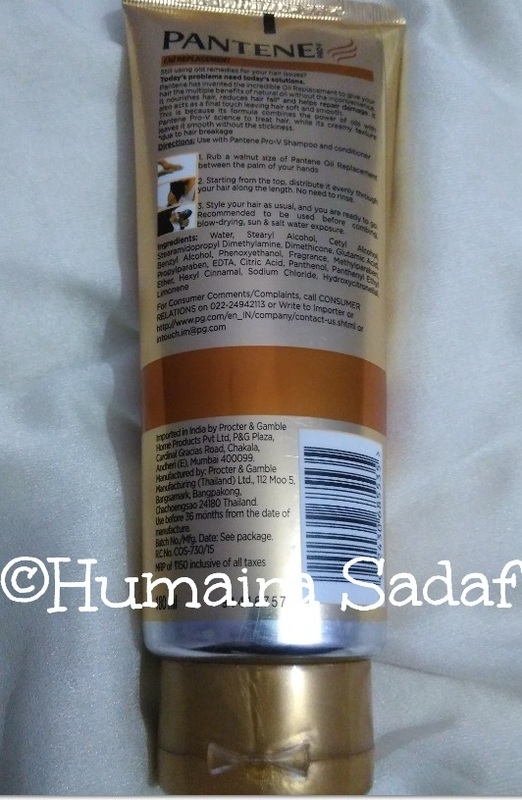 How to use PANTENE PRO-V Oil REPLACEMENT? Use with Pantene Pro-V Shampoo and conditioner. Rub a walnut size of Pantene oil Replacement between the palm of your hand. Starting from the top, distribute it evenly through your hair along the length. No need to rinse. Style your hair as usual, and ready to go. Recommended to be used before combing, blow-drying, sun and salt water exposure. The new Pantene oil replacement exhibits miracles. Long oiling hours will now be history! I don’t like to apply oil as oil makes hair sticky and greasy. I think Pantene oil replacement is best for me. The New Pantene Oil Replacement has Pro-V and goodness of oils and giving 2X stronger hair hassle-free. This product is a perfect replacement for Oil. This is white in texture. It’s not sticky. I applied Pantene Oil Replacement to my hair before going to college. First of all, I take a small amount of Pantene oil Replacement on my palm and rub it. I applied evenly from the top on my long hair. Then, I style my hair as usual, and ready for college. I felt soft and smooth hair. It has made my hair frizz free. It has a pleasant fragrance and nourishes the hair. It appears as a super glossy shine to my hair. It’s perfect and highly recommend for hair. 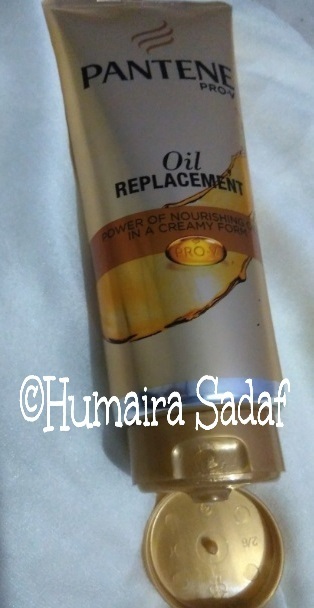 I must say that Pantene brings a solution to end the hassles of oiling – the New Pantene Oil Replacement! Gives 2x stronger hair than ordinary hair oil. There are no cons associated with oil replacement. Pantene brings a solution to end the hassles of oiling – the New Pantene Oil Replacement! How to Select Easy and Stylish Hairstyle? Quite affordable! Wanna try it after reading your review! This is new from Pantene i guess. And this oil replacement can be a good idea for hair. This product looks great with lots of benefits!! Would love to try. This sounds good for dry and rough hair. Its also affordable, so will give it a try. My hair can need some nourishment! I really should try this! I like its super gorgeous packing and this hair product looks too effective and amazing one. Will try this oil replacement product soon. This is a great afterwash product. I am going to try this soon. It’s like a must have product for this upcoming winter. Great review. Loved the detailing. The pricing is so affordable and the product seems perfect for shining hair. This a good oil replacement product for sure. I don’t like to oil my hair so this gonna be my product for sure. After having read about this a lot, I feel the need to use it now. I have been using this since few weeks and it has made my hair good! The frizz has been reduced and the hair is stronger too. 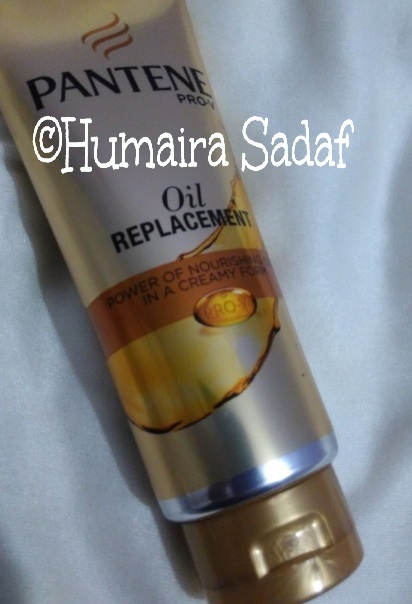 I am using this oil replacement and i must say this is one of the best products from Pantene.